Global equity markets experienced a series of downturns last week. Higher yields, rising wages and the potential for real inflation seemed to exert downward pressure on stock prices. Could Rising Yields Present Headwind for US Equities? Market commentators have begun to ask whether rising US bond yields could become a headwind for equity markets after the experience of last week, when US 10-Year Treasury yields crept closer to 3% (hitting the highest closing level since January 2014) and US equities experienced their first weekly decline of the year. Caution about rising inflation and the likely path of interest-rate increases in the United States seem to have exacerbated the US equity selloff on Friday as the Samp;P 500 Index felt its largest one-day drop since September 2016. The US January employment report fuelled inflation expectations, as nonfarm payrolls came in ahead of expectations at 200,000 versus an estimated 175,000, but more importantly, average hourly earnings rose faster than expected, at the highest rate since 2009. Investors seemed more cautious regarding the Fed’s rate path, which exacerbated the selloff in equities. Last week’s Fed-speak intensified discussion about the US Federal Reserve’s interest-rate path in 2018. Dallas Fed President Robert Kaplan, a non-voting member of the Federal Open Market Committee (FOMC), set out the base case for three rate hikes this year, adding that there could be more. Separately, San Francisco Fed President John Williams, an FOMC voter, drew attention to the inflationary pressures and said that the Fed should continue on its rate-hike path. In general, however, the January 30 FOMC meeting, the final meeting of Janet Yellen’s tenure as chair, went as expected. 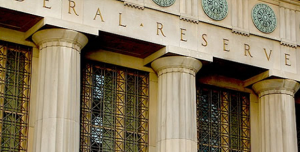 Interest rates remained unchanged after the meeting, but the Fed’s post-meeting commentary was again on the hawkish side. The FOMC noted that inflation measures “have increased in recent months”, tying in with the reflationary theme. Janet Yellen was back in the headlines over the weekend for her comments made during a television interview. Discussing stock-market valuation, she reportedly told an interviewer that it was a “source of some concern that asset valuations are so high”. Yellen likely wasn‘t alone in her views and it’s possible that similar thinking has spurred some investors into some profit taking. The US dollar continued to weaken last week, but fully recovered on Friday on the back of that strong labour report, and managed to finally snap its losing streak to close the week slightly higher. We’ve seen some dramatic headlines in the wake of the US equity selloff, but it’s important to remember that equities have had an incredible run over the past year. In relative terms, we consider this pullback to be reasonably small and even after Friday’s correction, US equities closed higher than they had been at the beginning of this year. It’s also perhaps worth noting that the weak US equity market performance comes after arguably the most upbeat Davos World Economic forum in years. A pause for breath has even been taken with relief by some who feel the pace of the recent rally was not sustainable. European equities closed last week lower, as markets bore witness to some consolidation going into month-end. The broad weakness in equities came alongside a notable rise in bond yields, in continuation of the theme we’ve seen in recent weeks. The German Bund hit fresh highs and the UK 10-year Gilt yield reached its highest level since May 2016. Financial services stocks were the relative outperformers on the week on the equity side, helped by the backup in bond yields. Meanwhile, there was pressure on cyclicals as part of the broader pullback in markets. Macroeconomic data out of Europe continued to show an economic robustness. The first reading for eurozone fourth-quarter 2017 gross domestic product growth came in at the highest level for a first recording in 10 years. There were political developments in Germany and Italy through the week. In Germany, negotiations between Angela Merkel’s Christian Democratic Union (CDU) party and the Social Democrats (SPD), led by Martin Schulz, appear to be progressing at a reasonable rate. However, differences remain on major issues such as immigration, labour law, health reforms and taxes. Encouragingly, on taxes, Merkel said on Thursday that strong economic growth offered scope to further expand government spending and allow more control over tax adjustments. In Italy, The Five-Star Movement, which has led recent opinion polls, has been expanding its appeal in a number of important policy areas. The Eurosceptic movement recently dropped its pledge to hold a vote on the use of the euro. It now says such a vote would only happen as a last resort. Five Star’s leader Luigi Di Maio has also called for less bureaucracy, lower taxes and investment in justice and infrastructure. US equities were lower across the board last week as the sharp move downwards on Friday capped off the first weekly decline for the major market indices this year. From a sector perspective, the energy space underperformed and health care names also lagged. Financials outperformed, with regional banks the bright spot. One of the focal points on the political calendar was President Donald Trump’s first State of the Union address. There were few surprises. Ahead of the speech, the White House had billed it as “part economic victory cry and part bipartisanship rallying cry”. Referring to trade, President Trump vowed that the “era of economic surrender is over”, but he failed explicitly to name the targets of his plans to reduce the United States’ expanding trade deficit. Asian markets also by and large traded lower last week. Australia was the only regional market in positive territory, having been something of a laggard year-to-date. Elsewhere, Japan witnessed a second week of profit taking after making multi-year highs in January. Japanese industrial production data for December, released last week, was much better than expected. Last week, the Bank of Japan also released its Summary of Opinions. The document contained several comments emphasising the bank’s commitment to its current easing policy. Deputy Governor Iwata discounted any easing side effects as small, while warning that accelerated fiscal austerity would likely slow economic growth. Chinese equities ended a six-week win streak last week on the back of commodity weakness and some mixed macro data. China’s official purchasing managers index (PMI) manufacturing print came in below consensus and hit an eight-month low. The non-manufacturing PMI rose in December to its highest level since September. We expect earnings season to continue to be a driver of equity markets globally this week, as a high number of companies report. Focus in the United States will be on talks between the Democrats and Republicans ahead of a potential federal government shutdown looming on February 8. Brexit remains a key talking point in Europe with European Union negotiator, Michel Barnier, in London for talks this week. Pressure on Theresa May from her own party also remains a likely focus. News from Germany on a potential government will be closely watched as talks between SPD and CDU continue. We have a number of interest-rate decisions due this week: the Reserve Bank of Australia on Tuesday, Indian and Brazilian decisions on Wednesday, and the Bank of England (BOE) on Thursday. The market sees a BOE rate rise as unlikely, but the commentary around future hikes will be closely scrutinised. There’s just a little more than a year until the United Kingdom leaves the European Union in 2019 and (understandably) uncertainty about the future relationship of the two parties is casting a shadow over investor sentiment. However, Colin Morton, vice president and portfolio manager, UK Equity team, believes Brexit won’t define the United Kingdom in years to come. For fixed income investors eyeing opportunities in Europe, 2018 should be the year economic fundamentals reassert their worth, according to David Zahn, Franklin Templeton’s head of European Fixed Income. Nonetheless, he believes many investors are underappreciating the long-term implications for Europe of the biggest political uncertainty for the region—Brexit. . In their first-quarter (Q1) 2018 outlook, K2 Advisors’ Research and Portfolio Construction teams believe favourable dispersion has created reasons for optimism in three main hedge-fund strategies: Long/Short Equity – Europe, Relative Value and Discretionary Macro. We believe offering these insights will help investors better understand the rationale for owning retail mutual funds that invest in hedge strategies. . This article reflects the analysis and opinions of Franklin Templeton’s European Trading Desk as of February 5, 2018, and may vary from the analysis and opinions of other investment teams, platforms, portfolio managers or strategies at Franklin Templeton Investments. Because market and economic conditions are often subject to rapid change, the analysis and opinions provided may change without notice. An assessment of a particular country, market, region, security, investment or strategy is not intended as an investment recommendation, nor does it constitute investment advice. Statements of fact are from sources considered reliable, but no representation or warranty is made as to their completeness or accuracy. This article does not provide a complete analysis of every material fact regarding any country, region, market, industry or security.